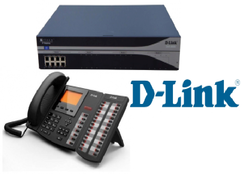 Dlink VOIP Pbx , an IP Phone System that completely replaces your proprietary PBX, supports standard SIP soft/hard phones, VOIP and traditional PSTN phone lines. Delivering the latest Unified Communication features such as integrated mobility, Home working, Call Recording, Meet-Me Conferencing including support for SIP compliant telephones and cost effective SIP trunks. Increasingly, companies have started adopting a ure IP model with SIP trunking. However, many companies still require a mix of analog, and IP stations as well as TDM trunking options. 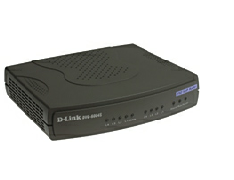 Dlink has been designed the system keeping in mind these different solution requirements for different customer needs. The flexibility and choice of deployment options makes the Dlink IP telephony solution a very flexible solution to serve different needs. IVR : Interactive Voice Response offers several options to help ensure that your callers don't get confused and trapped. Within each IVR, you can choose whether or not to allow your callers to dial an extension at any time. This is useful for creating different kinds of IVR experiences. Play a sound to the caller, then continue to the next action. This is for greetings, prompts, instructions, etc. Use the Sound Manager to record whatever sounds you want.